Home » Blog » SUV or Minivan: Which car type is best for your growing family? As your family grows, so do your transportation needs. 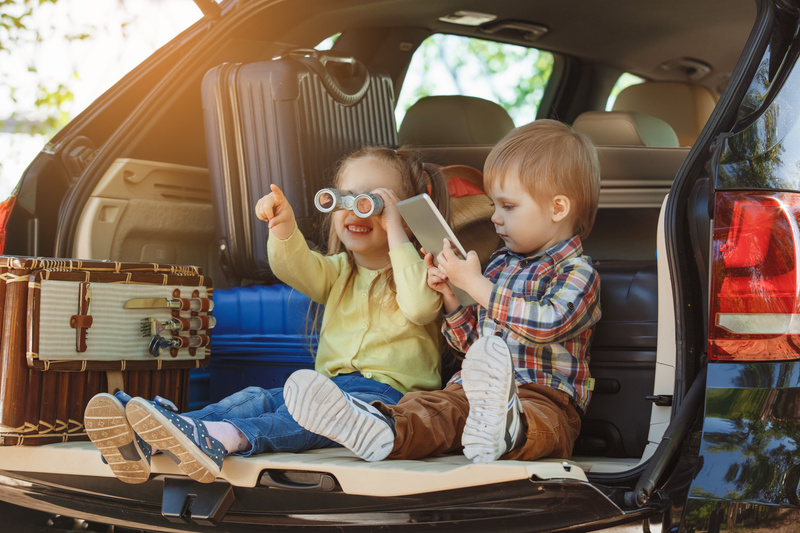 You probably used to get by with a small car, but now you may find yourself needing something much larger – especially once you have some little ones that you need to start carting around. So now you’re faced with another decision, whether a minivan or an SUV is better suited for what your lifestyle needs are. While there isn’t a right or wrong answer, there are some pretty important differences between the two types of cars. To help you figure out which type would be better for your family, we’ve put together a quick comparison of the two. When it comes to the needs of a growing family with young children, the minivan is pretty appealing. Sliding doors make minivans a lot easier to get in and out of – especially for parents who have little ones in rear facing car seats. Hinged doors with children don’t mix well. They’re heavy, hard to open, and don’t offer as much space for getting in and out. And, they’re far more likely to ding the side of a car parked next to it – something a minivan with sliding doors doesn’t encounter. Sliding doors also create a wider space for parents interested in cleaning up Goldfish, melted cookies, and who knows what other kid-messes lurk in the dark corners of family vehicles. And lastly, sliding doors are better when grandparents are tagging along on your family outing. The doors close with the click of a button, so no one needs to use unnecessary energy while shutting a heavy-hinged door. Many full-size SUVs (the kind that usually offer third-row seating) are lot higher off the ground than your average minivan. This is great for the utility aspect of these vehicles, but not so much for little ones or grandparents trying to get in and out of vehicles. While they aren’t as high as many large trucks on the market, a good amount require a step up and can be difficult to manage with smaller children. And, the lower your car is to the ground, the less lifting you’ll have to do. Things like double strollers and heavy-duty car seats can be a pain to move from point A to B, and it doesn’t get any easier when you have lift those items in and out of a large SUV. Abundant storage. Let’s be real, this could be a mixed blessing with small children who hide things like snacks, juice boxes, and chicken nuggets in the strangest of places). Fuel efficiency. Large SUVs are notorious gas guzzlers. Even though minivans aren’t as efficient as smaller family cars, they are typically more fuel efficient than the average family SUV. Rear seat air conditioning. While some SUVs offer air conditioning vent to passengers in rear seats, it isn’t a standard feature in all SUVs, while typically it’s a standard feature for minivans. On-board vacuum cleaners. With younger children, you can’t beat this for convenience. While not standard on all models, it’s definitely something you’ll want to consider. It’s important to remember that there isn’t a one size fits all when it comes to choosing what type of car is ideal for your family. For minivans, a lot of parents don’t want to take the plunge of ‘owning a minivan’ which is why SUVs are a lot of times more appealing. Lastly, there are a lot of minivans that do not offer all-wheel drive or four-wheel-drive, which most SUVs do offer. While the minivan wins in a lot of categories, they’re still minivans. They simply aren’t as enjoyable to drive when compared to sportier SUV models. Many parents out there appreciate the ability drive cars that offer some more individuality and don’t scream “family car” to people passing by. SUVs offer sportier options that many people, even parents with growing families, find more appealing than the average minivan. The SUV wins on power, hands down. If your family does a lot of hauling (boats, campers, trailers with four-wheelers or jet skis, etc.) you’re going to want the power of an SUV engine under your hood. This is especially important for families who live in areas where snowfall is common and heavy during winter. Most SUVs have all wheel drive and/or four-wheel drive. If it’s not standard, it is often an option and one well worth considering. Additionally, a lot of minivans can’t be equipped with a feature like four-wheel drive, so make sure to take that into consideration as well. Greater variety. There are only a few minivan models left on the road today and far more SUV options from crossovers to mid-size SUVs, and full-size SUVs to consider. Sportier feel. The feel of the vehicle matters, and some people simply don’t feel right in minivans. SUVs also handle a little bit sportier than most minivans, so if you need to zip in and out of traffic a SUV might be better suited for you. Higher off the ground. Just as this can be a deterrent for some, a vehicle that is higher off the ground is easier to get into and out of for others. You’ll have to consider the size and age of your family when deciding which is best for you. Family friendly entertainment options are typically even between SUVs and minivans, making this category a wash. Ultimately, it’s not about choosing the perfect style of vehicle, but finding the vehicle that best meets your needs as a family. Don’t forget when you’re picking out what type of car you want for your family you make sure to pick one that’s reliable. Regardless if you choose an SUV or minivan, it won’t matter what you pick if your car is always sitting in the auto shop. Picking out a new family car is something is an important decision that can be costly, there’s no doubt about that. At Elephant, we understand that more cars means more bills and costs, so we go out of our way to help you save on your new investment. That’s why we make it simple when it comes to insuring your car. When you insure more than one car on the same policy, we pass along pretty significant discounts on your premiums. 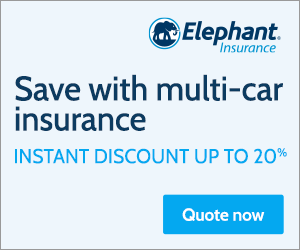 Whether you choose a SUV or minivan, you’ll likely save when you insure more than one of them with Elephant. ← Are Teslas really worth it?